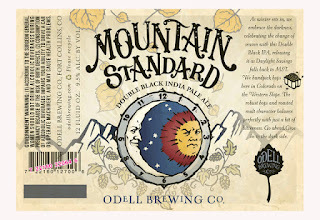 Odell Brewing Company invites you and all your good beer-loving friends to Billy's Long Bar this Thursday, March 1, where they will be hosting a special draft release of their Mountain Standard Double Black IPA. Billy's, with it's 60+ taps, has quietly become the best place to get those beers you've wanted to try on draft but only got to look at out of state friends drinking in their Facebook pictures. 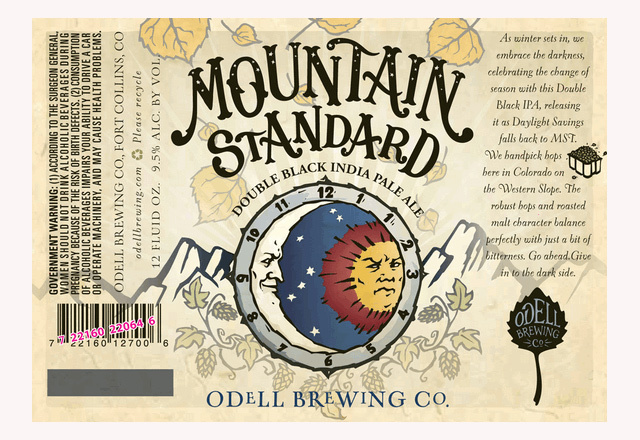 If you show up between 7 and 9 on Thursday, you'll not only get to drink Mountain Standard, you'll also get to talk to Odell rep Ryan Bogart, who will be there to geek out on craft beer with you. Tell him how long you've been supporting Odell beers and he might buy you a pint. I'm not guaranteeing that will happen, but it will be fun seeing how many people try to get a free beer from him. We may end up seeing Ryan hitchhiking his way back up I-25 to Ft. Collins after he spends all his money on pints for you faithful Odell drinkers.